Family Hiking Trail! - Harmony Headlands State Park! Are you looking for an adventure hike for the entire family. 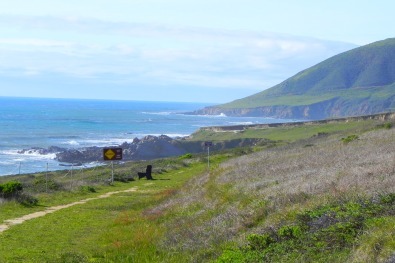 The Harmony Headlands State Park on Highway One, just south of Harmony, California provides a smooth hike with great views. Right now this is a free hike but the state will start charging $3.00 per person in the spring of 2011. So, get your hike in before they start the tax on fun. My wife and I started this adventure about 3:00 PM in the afternoon and we had the best time. We couldn't take the dogs on this hike because dogs are not allowed. This trail leads down a winding road which takes you to the bluffs above the ocean. Along the trail you will see lakes, ducks and hawks. Make sure you take a little water because this family hiking trail is about 4 miles around trip. The first part of the adventure is relatively smooth going but towards the end of the trail you will have to climb a few hills. We spotted a wide variety of animals including ground rats, rabbits, hawks, and much more. We didn't see any mountain lions but we did hear of a couple who did see a lion. I don't think there is anything to worry about just stay calm if you do see a lion. Yeah right, stay calm, you have to be kidding. Really, it is safe. If you do see a mountain lion just don't run. The primary reward on this trip was we finally reached the sea. The view was worth the walk. Along the way on this family hiking trail we did see several family with younger kids enjoying the hike. Seriously, this is one of the best hikes my wife and I have taken and we highly recommend this trip to anyone visiting the Central Coast of California. 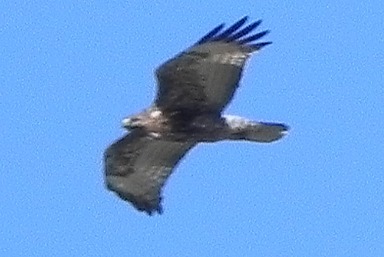 We were able to take a few shots of a hawk in flight. The shot is not as clear as I hoped it would be but the hawk was flying about 1 million mph. Kidding, it was flying pretty fast. We had walked this trail before but had never walked the entire way so we headed out down the beautiful little walking trail. We let the dogs off the leashes and headed out. It was beautiful beyond description. The grass and foliage was a green as green can get. The creek was bubbling and the air was cool and crisp. We still didn't know exactly where the trail ended but we kept on walking. 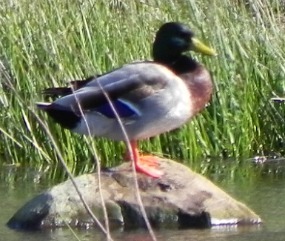 On one of ponds we spotted this colorful little duck just sitting there watching us walk past. 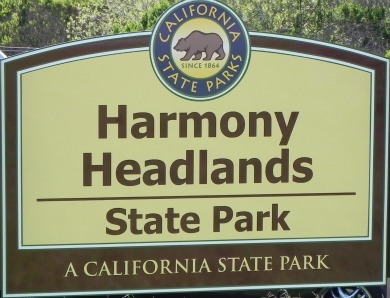 This family hiking event on the Harmony Headlands State Park is worth your time. The kids will love the journey to the sea. If you are visiting our wonderful town we suggest you try this walking trail. If you would like more information on family hiking on Harmony Headlands click on the blue link. Location: The State Park is located just south of Harmony on Highway One. 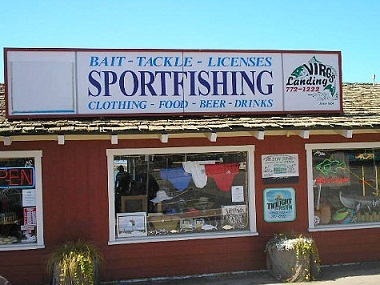 If you are coming from Morro Bay look for the Linn's Restaurant sign. It will say comfort food. There will be a little park space on the side of the road.